CGCC Promotes State-Province Economic and Trade Cooperation between China and US - Alaska and Missouri Governors’ Trip to China - China General Chamber of Commerce - U.S.A.
On September 25-28, organized by China General Chamber of Commerce-USA (CGCC), Alaska Governor Walker and Missouri Governor Greitens led delegations to China. 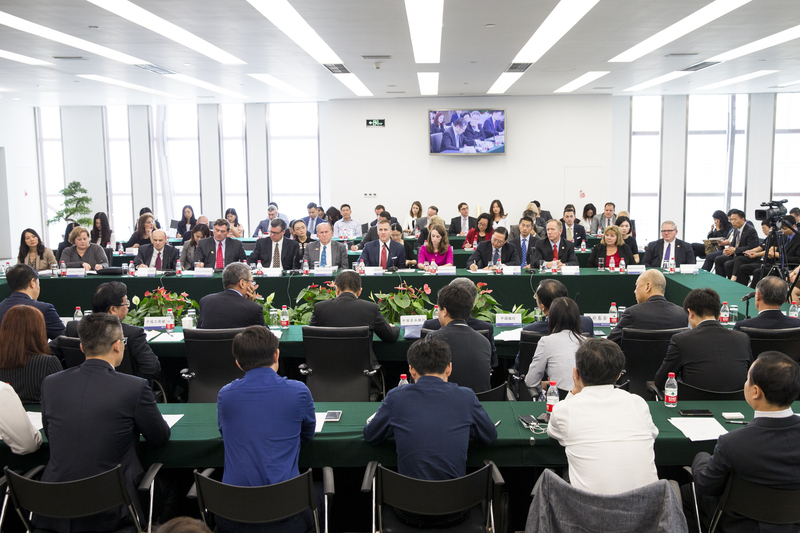 During their 4-day trip, the governors visited Beijing, Shanghai, and Hangzhou, where they met with multiple leaders of the central and provincial governments. The delegations also met with representatives from over 50 CGCC member companies including China Investment Corporation, Bank of China, Fosun, Alibaba Group and other Chinese enterprises, to explore cooperation opportunities in energy, tourism, education, and healthcare, etc. On September 25, China Investment Corporation (CIC) and China General Chamber of Commerce-USA (CGCC) co-hosted the “China-US Investment Cooperation Conference” at CIC Headquarters in Beijing, welcoming Governor Walker of Alaska and Governor Greitens of Missouri and their delegations to China. More than 150 representatives from 50 CGCC member companies and Chinese enterprises in the finance, energy & chemistry, manufacturing, education and consumer goods sectors attended the conference. 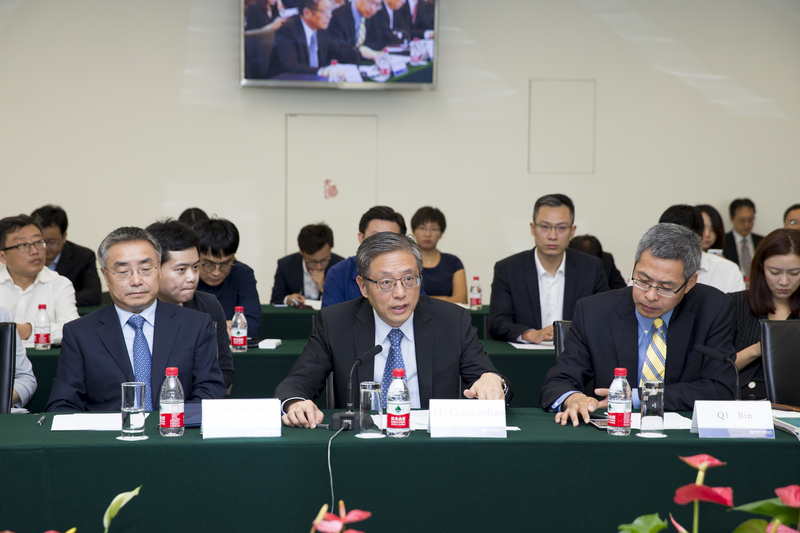 Executive Vice President of CIC Qi Bin presided the conference with an opening remark. Tu Guangshao, Vice Chairman & President of CIC, delivered a welcoming remark to Governor Greitens and Governor Walker and their delegations. Governor Greitens and Governor Walker delivered keynote speeches to introduce investment projects, environments and favorable policies in their own state. 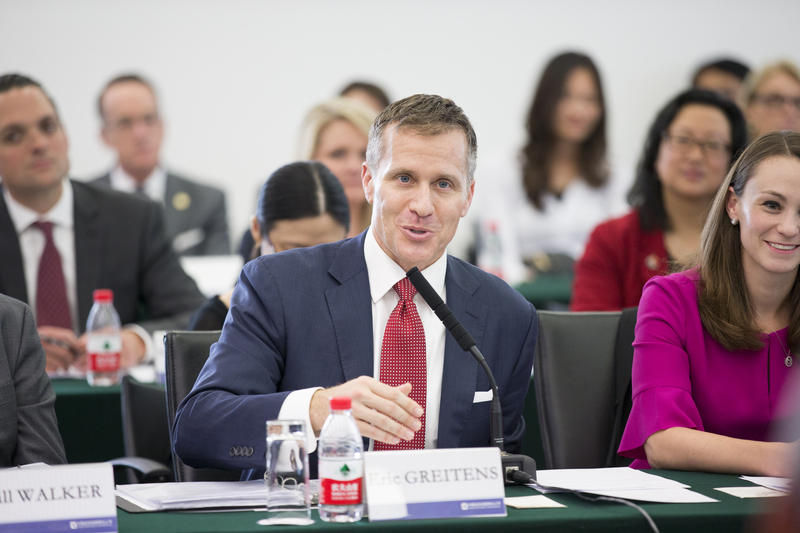 In the meeting, Governor Greitens shared his “hometown” strategy of promoting Missouri to Chinese people: “Chinese people often greet each other by asking ‘What is your laojia?’ We welcome investors, innovators, entrepreneurs, and students to call Missouri your American laojia.”, said Governor Greitens. In recognition of China’s on-going economic transformation, Governor Walker said: “We look at the 1.4 billion people in China and their need for the clean-burning natural gas that we have”, pointing out that China, now the world’s second-largest economy and biggest energy consumer, is moving fast from coal toward cleaner fuels. Later in the conference, representatives from Industrial and Commercial Bank of China, Agricultural Bank of China, Bank of China, China Construction Bank, Aluminum Corporation of China, and China Oceanwide Holdings Group shared experiences of investing and operating in the US. 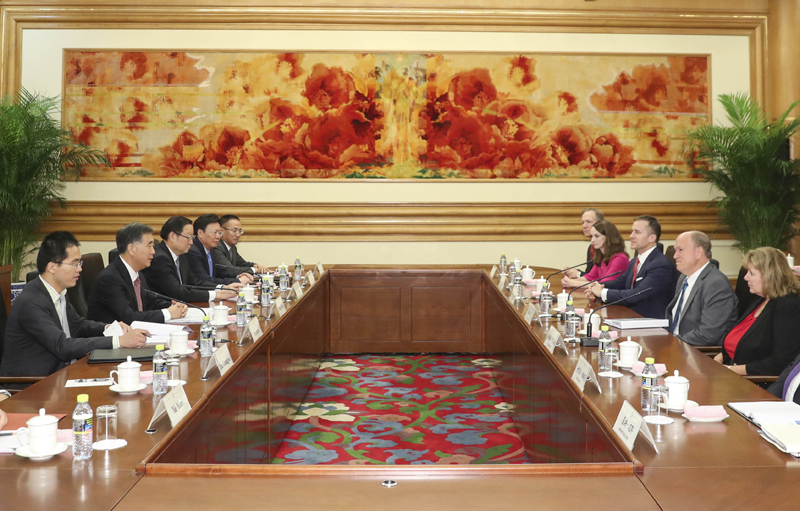 On the same day, the two governors met with Vice Premier Wang Yang of the State Council of China, and exchange views on Sino-US economic and trade cooperation. 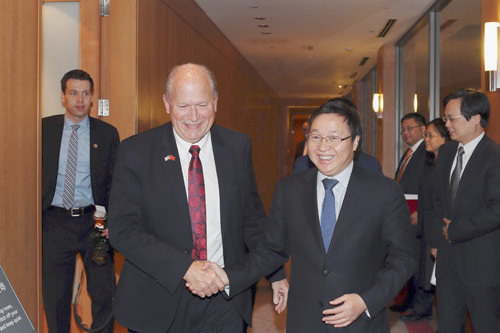 Alaska Governor Walker met with Chairman He Lifeng of National Development and Reform Commission (NDRC) of China, and had exchanges on multiple topics, in particular on promoting economic and trade cooperation between China and Alaska in the energy sector. 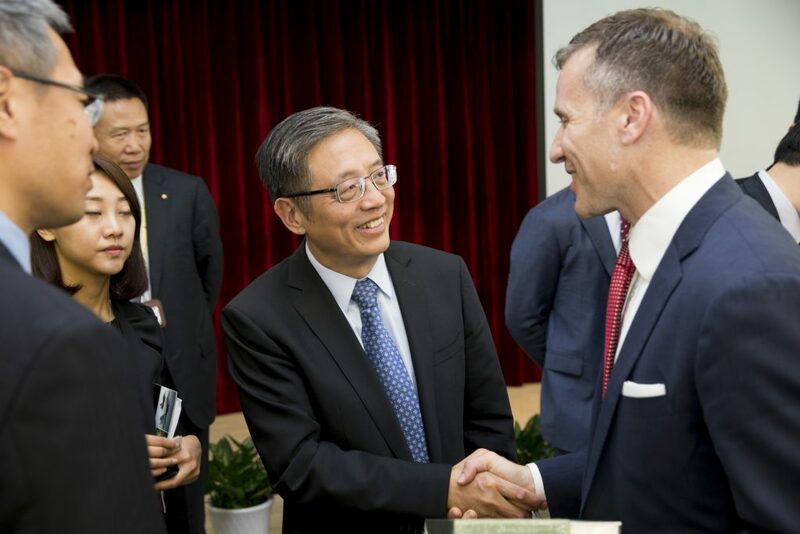 Missouri Governor Greitens met with Vice Governor Wang Xiaodong of Hebei province in Beijing. 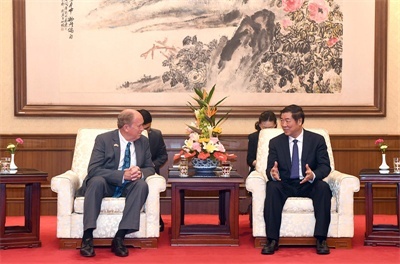 During the meeting, both of them agreed that Missouri and Hebei are highly complementary in development resources, and expressed the desire to enhance cooperation in various sectors, in particular, clean energy, facilities manufacturing, technological innovation, and talent exchange, in the hope of promoting bilateral trade and cooperation, and improving the livelihood of their peoples. 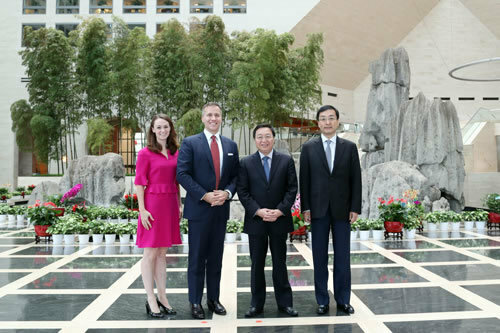 On the 25th and 26th, Chairman of Bank of China, Chen Siqing, met with Governor Greitens and Governor Walker respectively and exchanged views on enhancing cooperation between Bank of China and enterprises in the two states, especially in infrastructure planning and construction in Missouri, and winter sports and related tourism in Alaska. Before launching their journey, Governor Greitens and Governor Walker received special interviews with CGTN America, Xinhua News Agency North America, and China Daily USA, where both of them expressed high expectations and confidence towards the future of win-win cooperation with China. 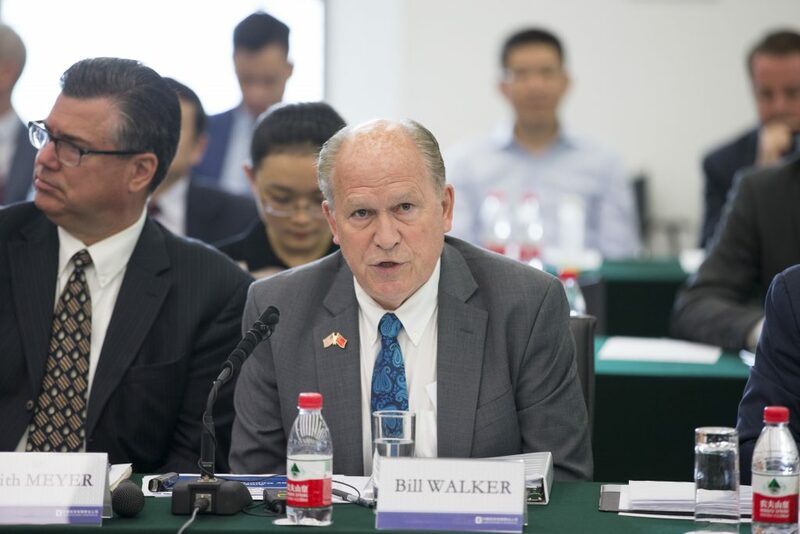 “China has been Alaska’s largest export customer for many years on fish,” said Alaska Governor Walker, who expressed desires to build a more profound economic and trade relationship between Alaska and China, that extends to other industries such as natural gas, mining, and tourism. He described Alaska’s liquefied natural gas (LNG) project as “a perfect opportunity for bilateral trade and cooperation between China and America’s largest state”, that will bring “unparalleled” opportunities for sustained employment and economic growth. Governor Greitens said “we want this trip to show the many reasons why businesses, investors, and students should call Missouri their American home”. Governor Greitens listed a wide array of industries that he believed China and Missouri share interest in growing, including manufacturing, health sciences, health services, technology, transportation and logistics, energy, automotive, financial and professional services, and biotechnology. Also high on his agenda in China is his bid to strengthen Missouri’s educational relationship with China and invite Chinese students to study in the state. 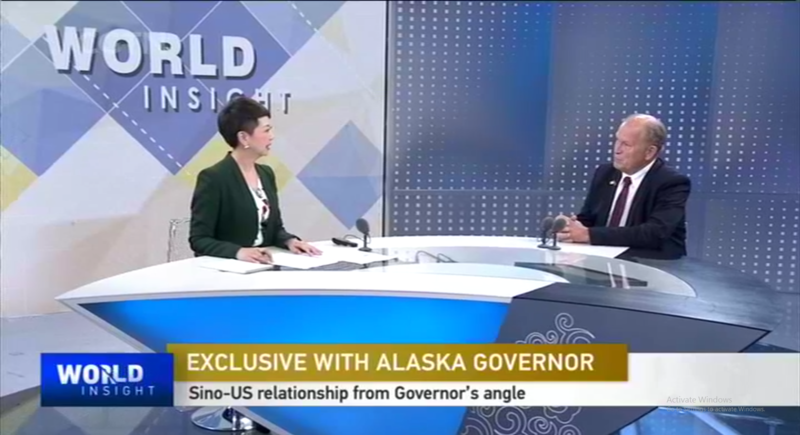 On the evening of the 26th, Alaska Governor Walker had an exclusive live interview on World Insight on CGTN. 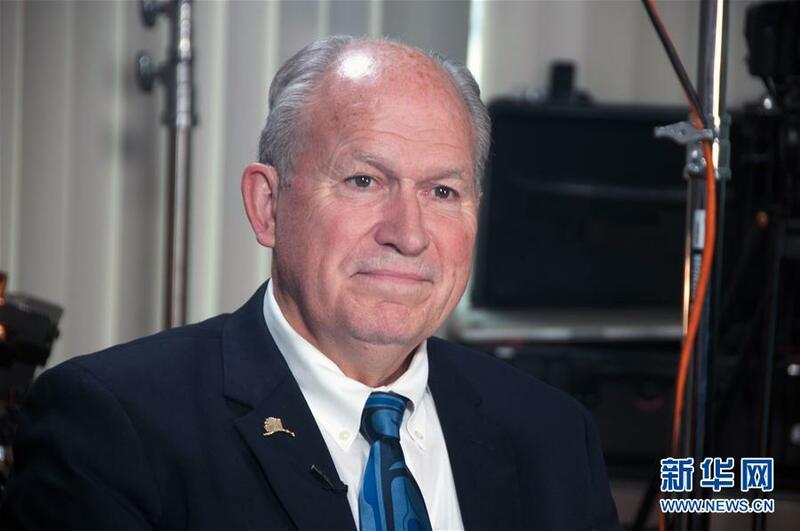 Walker said that Alaska is blessed by its geography as a resource state, and has unparalleled conditions to conduct cooperation with China. Alaska’s long coastline produced rich natural resources that include not just seafood, but also energy, in particular liquefied natural gas (LNG). 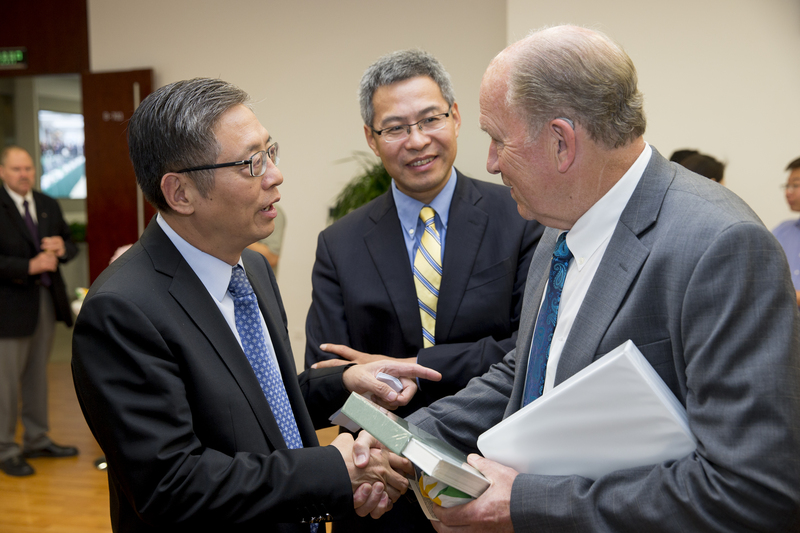 He believed that Alaska’s LNG, being a clean and efficient bio-energy, will be able to meet the tremendous demand of clean energy from China, and mitigate the negative impact of China’s climate issues. Governor Walker was also interviewed by other Chinese media agencies including Xinhua News Agency and China News Service in Beijing. 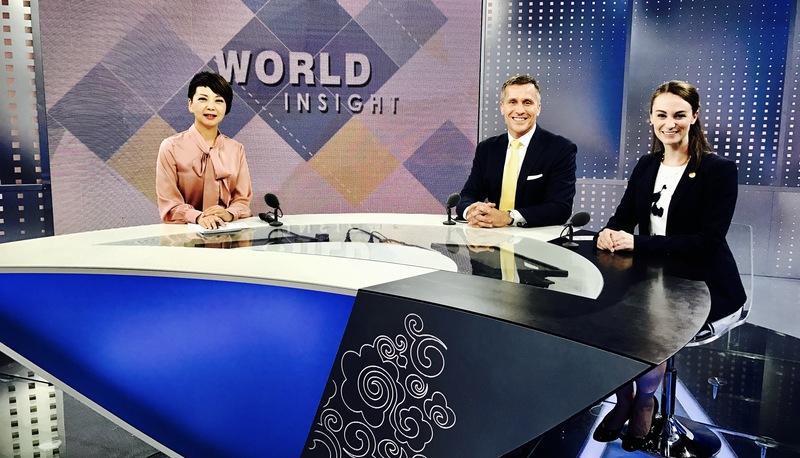 Governor Greitens and Mrs. Greitens were also interviewed by World Insight at CGTN. CGCC expresses special thanks to Bank of China and China Investment Corporation for their support to the governors’ trip to China.